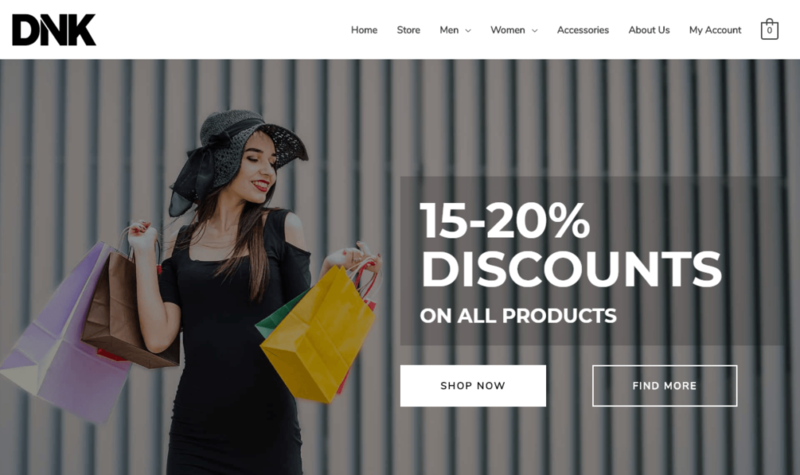 Looking for the best eCommerce WordPress themes? While you can find plenty of lists with 40+ options, we decided to be a little more selective with this list. Quality over quantity, right? 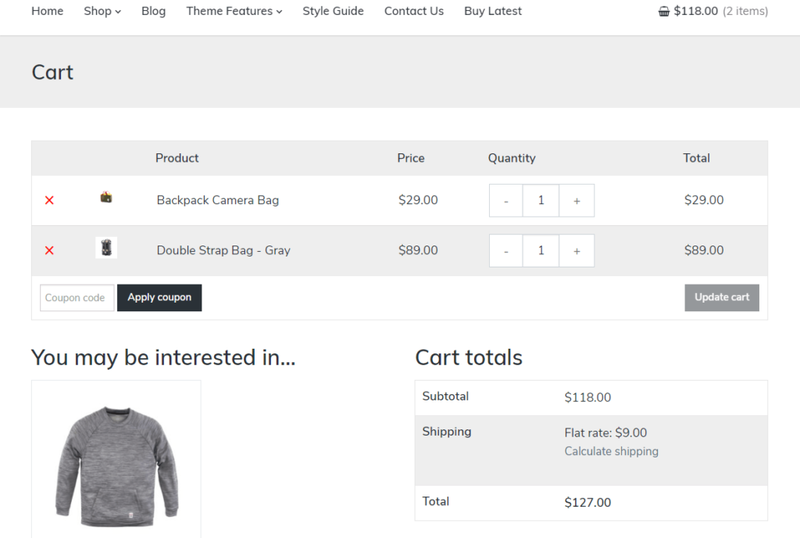 Because we know that the main shop page isn’t the only important part of a WordPress eCommerce theme, we’ll also give you screenshots of the cart and checkout pages so that you know how each theme handles those vital aspects of user interface. Let’s start with a quick discussion of what makes a great WordPress eCommerce theme, then we’ll jump into a detailed look at each theme. 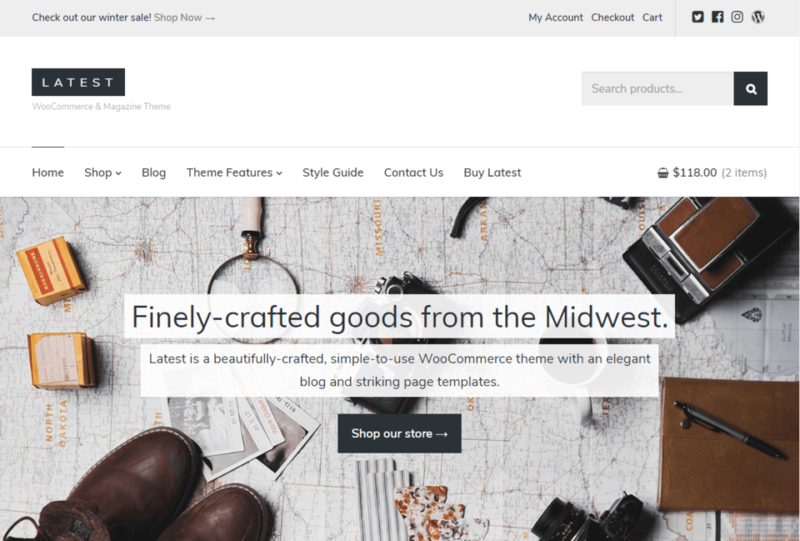 What Makes A Theme One Of The Best eCommerce WordPress Themes? Picking a good WordPress eCommerce theme isn’t just about finding a pretty theme that includes “WooCommerce compatible” on the feature list. Performance. It’s important for all sites to load fast, but the stakes are extra high with eCommerce. According to Akamai, just a 100 millisecond delay can hurt your store’s conversion rate by 7%, and even mobile visitors want eCommerce stores to load in under 3 seconds. Mobile-friendly. Speaking of mobile – did you know that mobile sales now make up the majority of eCommerce sales according to eMarketer estimates? Yeah – your theme needs to work great on mobile. 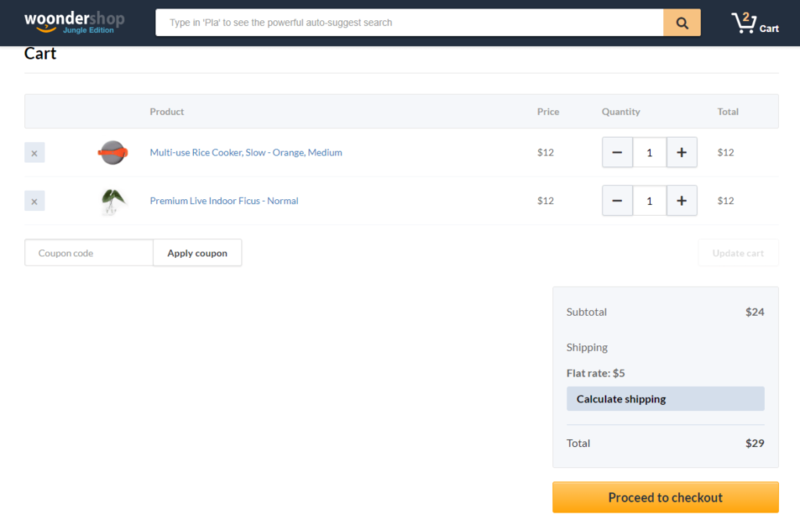 Optimized cart and checkout pages. These pages can make or break your conversion rate. You want them free of distractions, unless they’re trust seals or other conversion-boosting content. Conversion-friendly features. Look for features that can boost your conversion rate, like sale countdown timers or opportunities for cross-sells. While not every theme on this list includes every single feature, we tried to make sure that they all ticked as many boxes as possible. 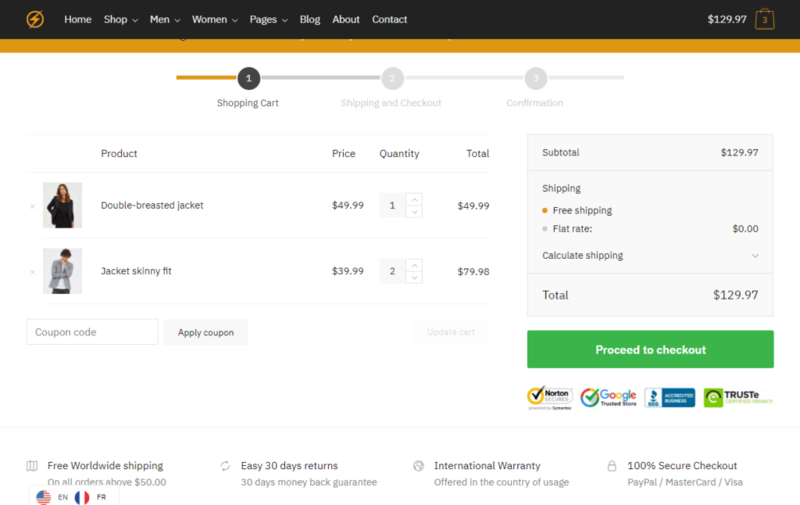 Shoptimizer is a performance-optimized eCommerce offering from CommerceGurus. 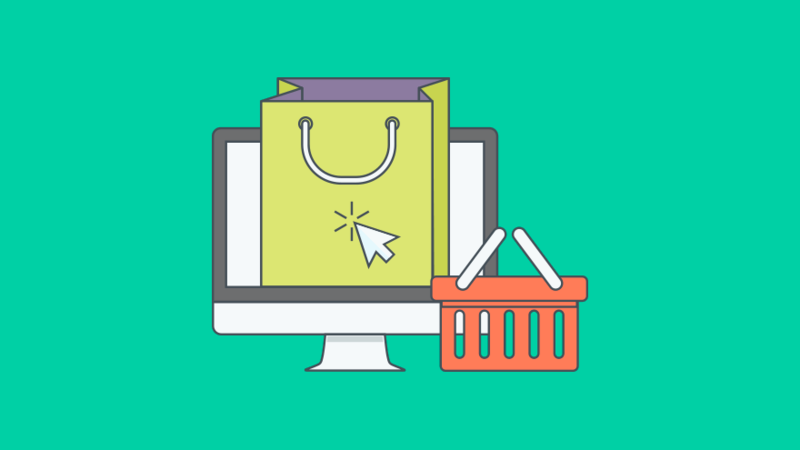 When you’re running an eCommerce store, those two topics should be near and dear to your heart, which is why this theme gets a spot on our list of the best eCommerce WordPress themes. Optimized performance, including nice touches like automatic minification (you can see all the performance data on the theme’s sales page). Conversion-optimized checkout page. You can even hide the theme’s header, footer, and sidebar on the checkout page to eliminate all distractions. Smart microcopy, like the ability to include your return policy and free shipping right below the add to cart button. Request a call back functionality. This unique feature makes a great option for high-value items where customers might want to ask questions before they make their purchases. Sticky product details on scroll. Another neat unique feature that “sticks” important product details to the top as users scroll down the page. Integrated trust badges. 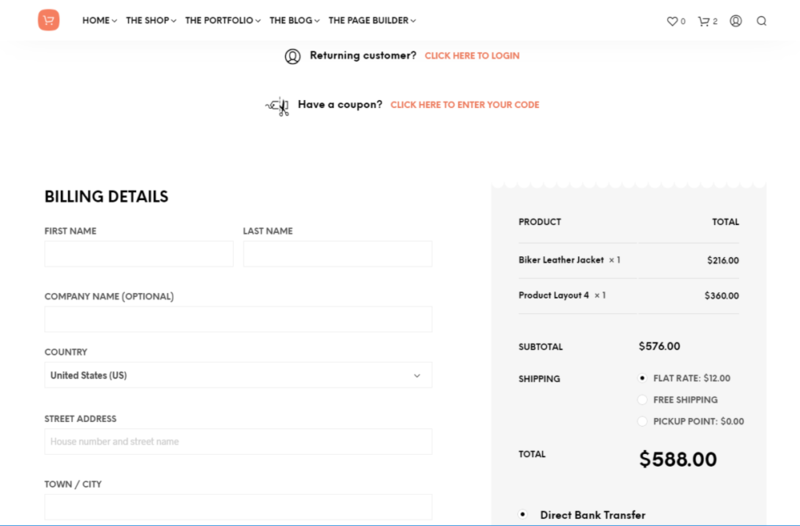 You can easily display trust badges on your cart and checkout pages. Sales timers. Add some urgency by displaying a countdown timer or limited stock on the product page. Core pages built with Elementor. This lets you edit them using simple drag-and-drop editing. Slide-out cart page. 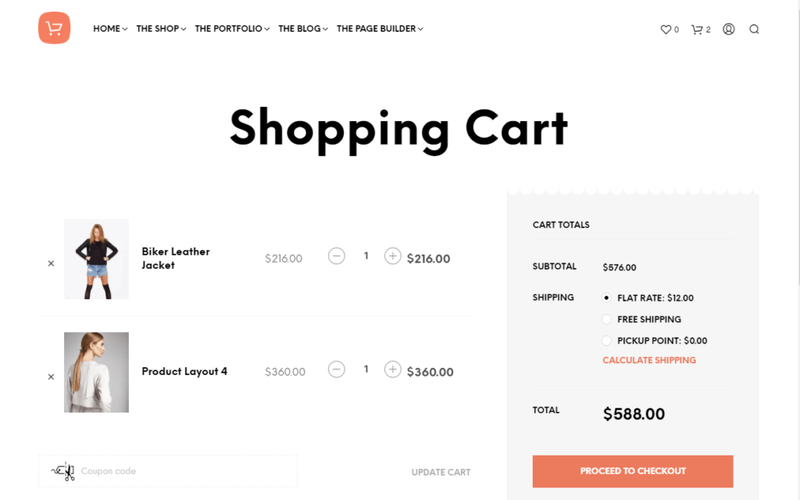 Customers can easily view their shopping cart without reloading the page thanks to a neat slide-out cart. Simple steps at the top to let customers know where they stand in the process. Trust badges underneath the checkout button. Smart microcopy at the bottom (free shipping, easy returns, etc.). Another nice touch here is the customer testimonial underneath the trust badges. That’s another great conversion-boosting strategy. Astra is a lean, mean multipurpose theme that’s especially popular with people who build WordPress sites for clients. 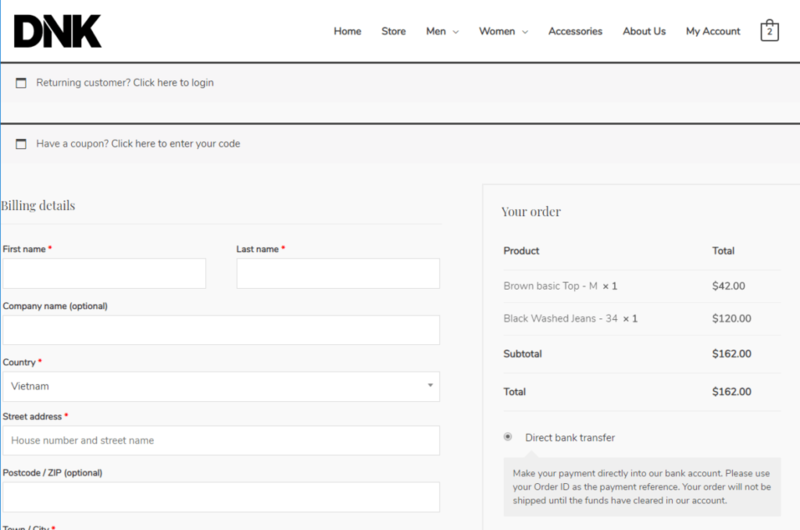 While it is a multipurpose theme, it has a great dedicated WooCommerce integration, with plenty of options for controlling how your store looks. It’s super easy to customize and make your own. Or, you can choose from one of the many included demo sites to get a headstart. Awesome performance. In Tidy Repo’s huge analysis of 100+ WordPress themes, Astra was the third fastest theme, only behind super minimalist themes. 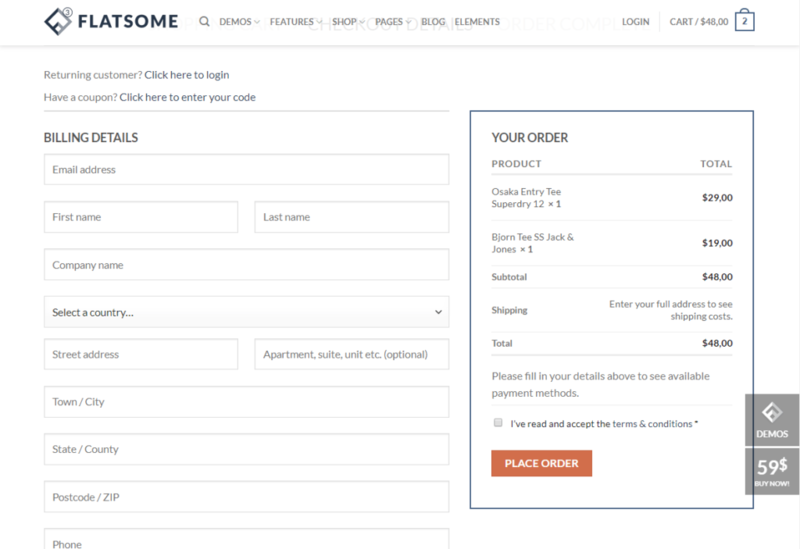 Customizer controls that let you change up how your product page looks. Off-canvas filtering. A sidebar slide-in lets users access deep product filters. Product quick view. While I’ve seen mixed reports on whether or not quick view is a good thing, Astra includes the functionality. Simple two-step checkout process. An easier checkout means less friction. Distraction-free checkout. 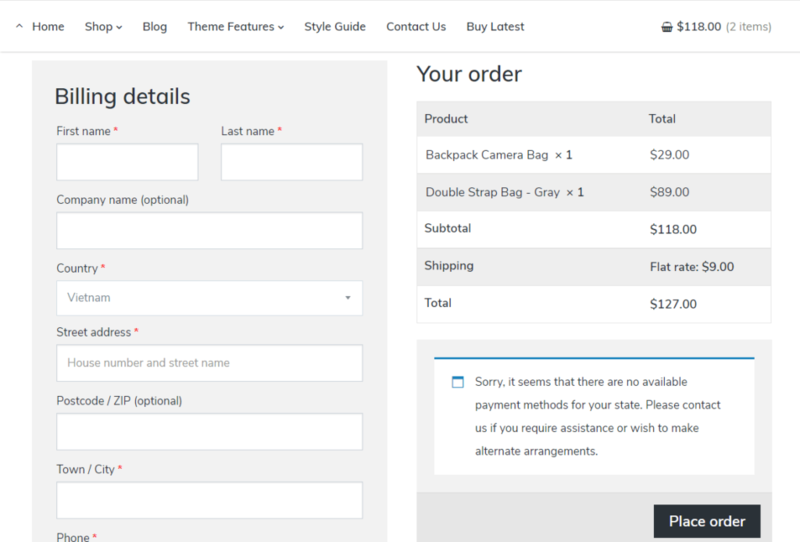 You can enable distraction-free checkout mode just by selecting a box in the WordPress Customizer. You can also hide the top menu with the distraction-free mode, or add progress icons for the two-step checkout. While there is a free version of Astra at WordPress.org, you’ll need the Pro version if you want the best WooCommerce functionality. The Pro version costs $59. 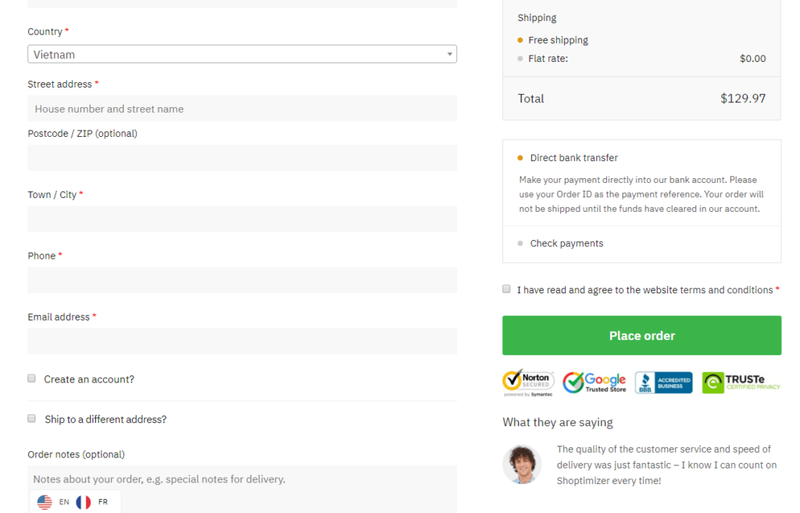 WoonderShop is a mobile-first eCommerce theme that, like Shoptimizer, puts a special focus on conversion optimization with features like a built-in cross-sell widget and distraction-free checkout. It’s also easy to customize thanks to the visual Customizer and the integrated SiteOrigin Page Builder. When you see the demos, you’ll notice a lot of similarities to Amazon (never hurts to learn from the King, right?). Performance focus, with default Google PageSpeed scores in the high 90s. Mobile-first design ensures that mobile visitors have a great shopping experience. Search autosuggest to help shoppers find the right products. Built-in cross-sell widget to display related products or products that are frequently purchased together. Distraction-free checkout so that you don’t lose shoppers at the last minute, with an option to include trust badges as well. Built-in AJAX product filters to eliminate page reloads. 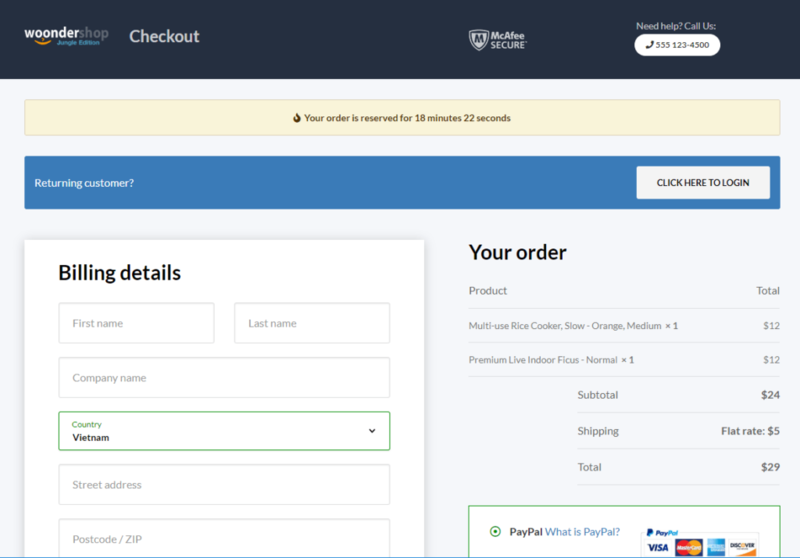 The checkout page has a great urgency-boosting feature that displays a countdown timer for how long the visitor’s cart is reserved. You also get the trust badge option at the top, as well as the phone number right there in case shoppers run into issues. 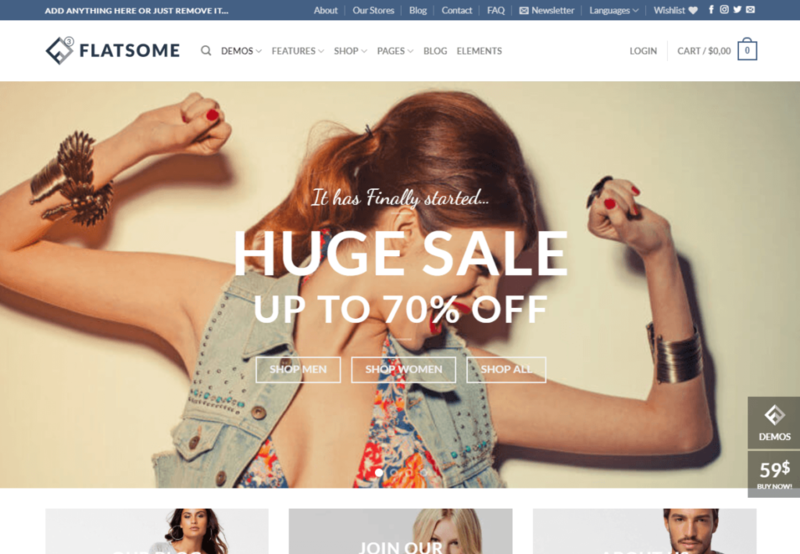 Given that it’s the best-selling WordPress eCommerce theme at ThemeForest, we’d be remiss if we didn’t include Flatsome on this list. It has over 77,000 sales, while still maintaining a 4.80-star rating out of 5. 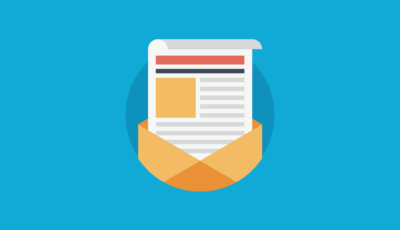 One of the things people love is how flexible it is – Flatsome comes packed with tons of pre-built demos, as well as a custom page builder. Mobile-optimized design for a great mobile shopping experience. Live search so that customers can find the right products. Unlimited product page layouts to make things look just right. Great-looking account pages so that users can manage their orders. 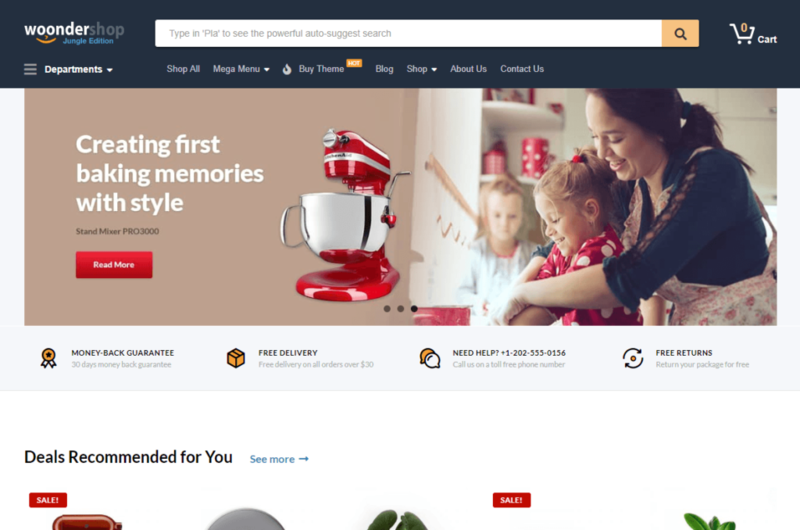 Latest is the eCommerce offering from Array Themes, a great theme shop that puts out some of the cleanest-coded themes that you’ll find. As with many of Array Themes’ themes, it has a minimal design with plenty of white space. If you like that airy feeling and clean, performance-optimized code, this one will make a great option. Clean code means fast load times and good cross-browser compatibility. 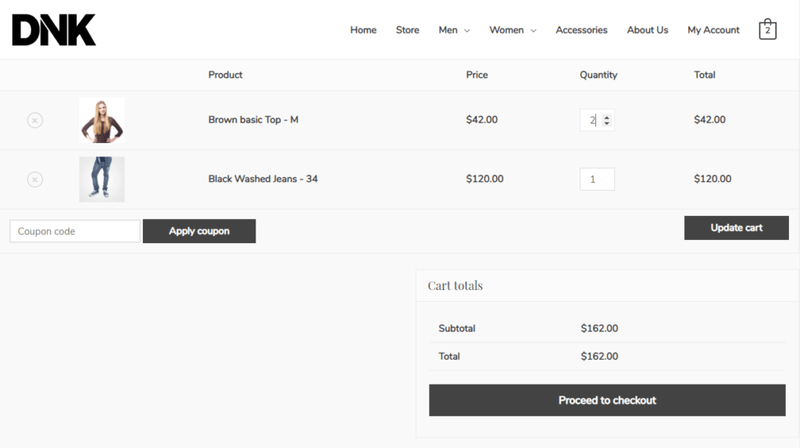 AJAX category menus so visitors can see more products without leaving the page. Mobile-friendly design, with plenty of easy-to-tap buttons. Built-in related products area for easy cross-selling. Upsell option on the cart. It does a good job of giving you the chance for the upsell without being too distracting. Latest is available as part of the $89 Array Themes club. Shopkeeper is another one of the best-selling eCommerce themes at ThemeForest. While it’s not quite as popular as Flatsome, it’s been purchased over 23,000 times and has a stellar 4.62-star rating out of 5. Shopkeeper has more of a creative, modern aesthetic, which makes it a great option for stores with that type of branding. It’s also flexible and keeps things pretty minimal to put the focus on your products. 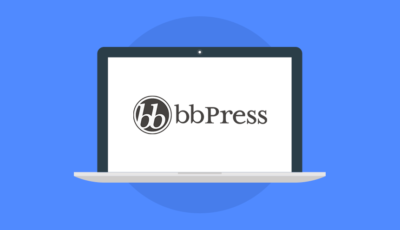 Easy to customize thanks to the WordPress Customizer and a built-in page builder. Built-in product quickview if you want it. Related products widget to help with cross-selling. Integrated product video feature, which is great to show your products in a more detailed video format. 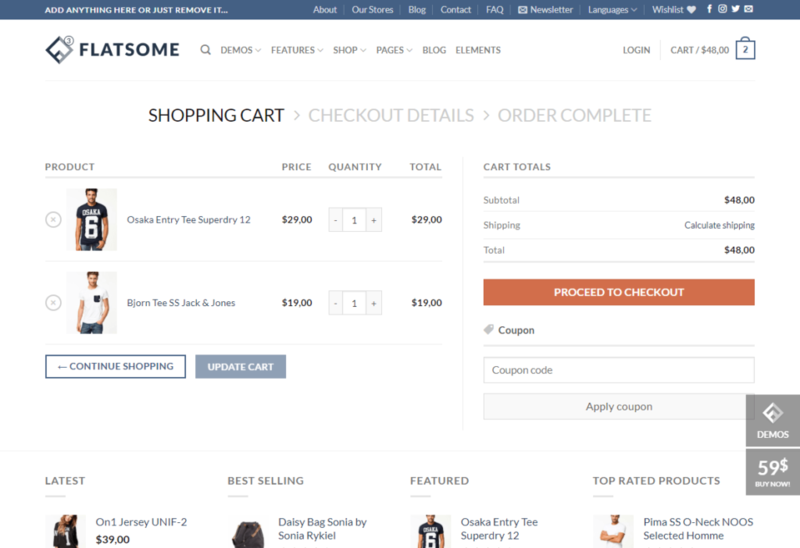 Simple distraction-free cart and checkout to boost your conversion rate. 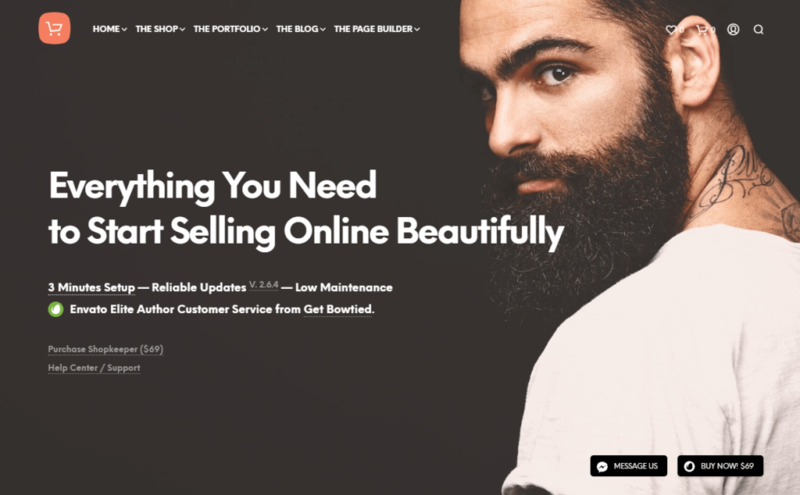 Which Of These Best eCommerce WordPress Themes Is Right For You? 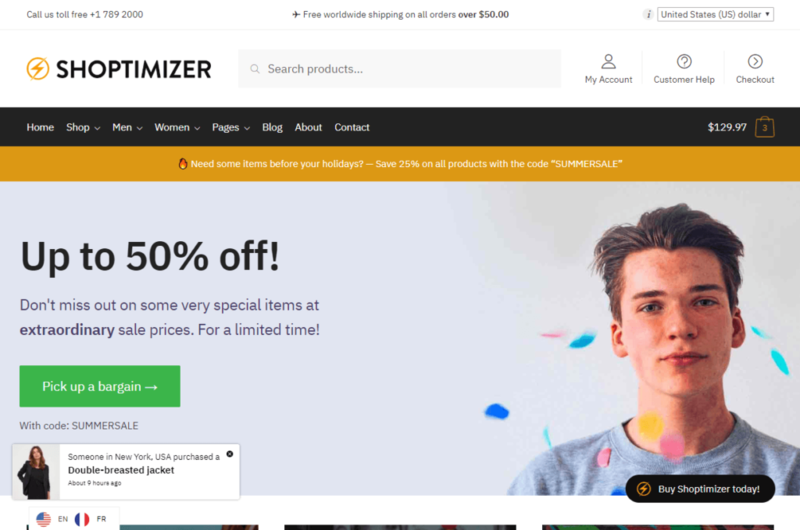 If you geek out over conversion-friendly design and want a WooCommerce theme that’s built to convert right out of the box, Shoptimizer and WoonderShop are probably your best bets. On the other hand, if you’re more concerned with a theme that’s flexible and easy to make your own, the many pre-built demos of Flatsome or Shopkeeper might be up your alley. Astra is another solid bet here. Finally, while all of these themes should load quickly, Astra, Shoptimizer, or Latest seem to be the absolute fastest WooCommerce themes on this list. And once again, remember that your customers will need support! And when they need support, a knowledge base built with Heroic Knowledge Base is a great complement to any of these themes. If you like detailed theme roundups like this one, be sure to check out our post on the best podcast themes, as well!